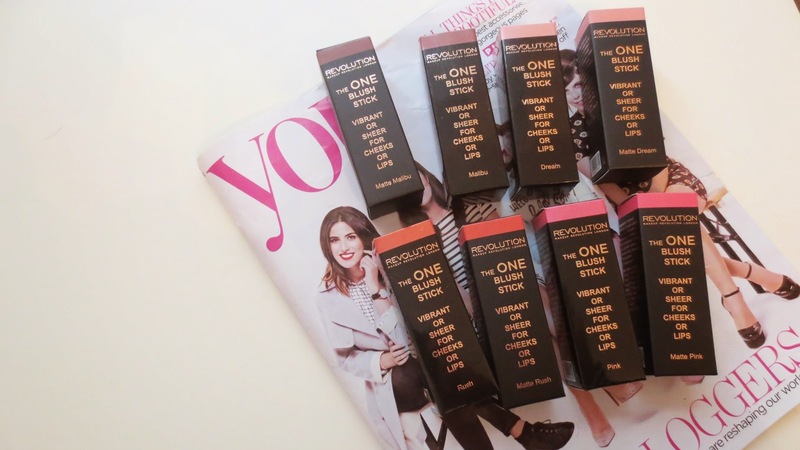 Make Up Revolution- The One Blush Stick! Make Up Revolution £5 Each* I am super excited by these blusher sticks, reason one has to be the packaging. How great do they look. 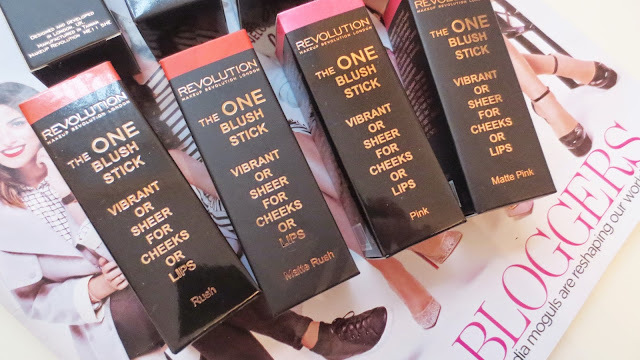 I have never tried a blusher stick, ever so this was an exciting parcel from Make Up Revolution. I am a huge fan of all the products they have, every single product I am blown away by. I love the packaging, it all goes well together as a collection and it looks great in your make up bag. The prices are great too, this is a brand you could stock up on to create a wonderful make up bag full of goodies. I am excited to purchase some for my friends and family this Christmas, i am a huge fan myself so i want to share this excitement. 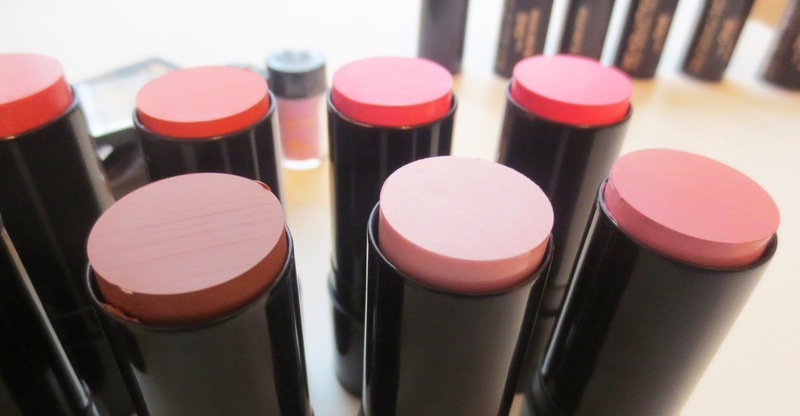 Each blusher stick comes in a matte and gloss which shows on the packaging too. The matte has a matte packaging and the glossy blush has a glossy finish to it which is fun and very clever. I adore the slick professional packaging, the box itself is designed very well. My boyfriend who studied Graphic design at university commented on the fact he liked this brand, that itself is a huge compliment on the look. This product has a multipurpose use to it, you can use it on your cheeks and lips. The texture of the product is great, it feels soft and pigmented. I am in love with the shades Rush and dream, both look amazing on. I am planning on doing a full face of make up using this brand so keep an eye out for this too. Dream is a very light pink but if you want something brighter go for the shade Pink. There are 4 gloss and 4 matte shades to choose from. I am super excited by these products and I am so excited to use them in my daily make up routine. This is a new brand this year that have been a huge make up highlight for me. 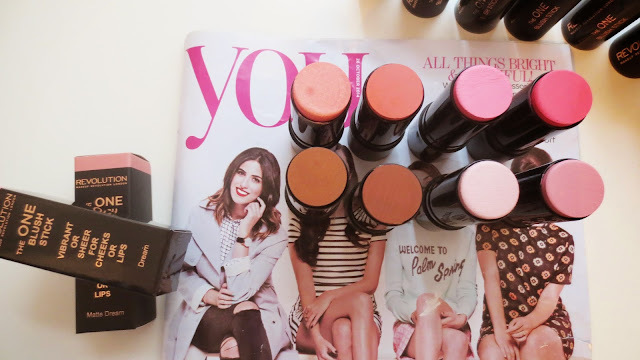 I would use the pink, coral shades on my lips which can take your make up to an exciting new level. I am in love with wearing a coral shade on my lips to bring out my skin tone, using highlighter with these as blushers work amazing too. Since I started using these a month or so ago I have had so many compliments on my make up, which is something that is super lovely. Dream has to be the lightest shade in the range, I have been using this as a highlighter on my cheek bones. Pink is a shade I enjoy using as my everyday blusher, you can apply a small amount and blend it in well. I love the formula of these blush sticks, they are creamy and the quality is spot on. The price of them are incredible for the product you get, £5 each are amazing. Overall a great product to add to a make up collection. I am so pleased with them and would highly recommend them to you. 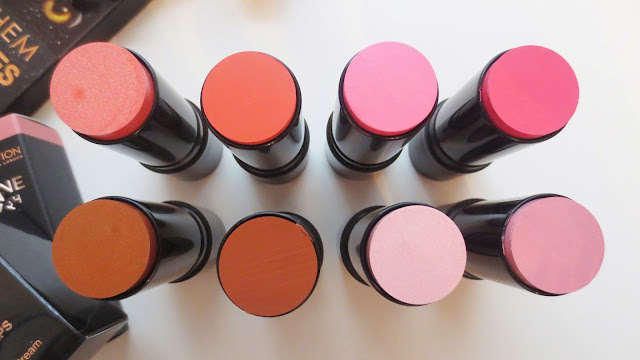 If you fancy trying out a blush stick these are a great alternative to high end products. You can pick some up online or in store at Superdrug. What do you think of these blush sticks?